I was struggling to come up with a posting for this week when I happened on this article from Task and Purpose. (see: http://bit.ly/2DGhVsj) The content of the article doesn’t matter it was this picture that I had in mind. Most people, including Indiana Jones, hate snakes and spiders. Many people even have what others term irrational fear of animals such as spiders and will go to great lengths to avoid them. Why not simply harness common and dislikes of animals to bring a message across? Of course, animals are not all universally loved or hated. Dogs for example are treated very well http://bit.ly/2Fky3Mk) and in China they are struggling with canines as cuisine (see: http://cnn.it/2EevU5M). Units have adopted animals for their crests and emblems. 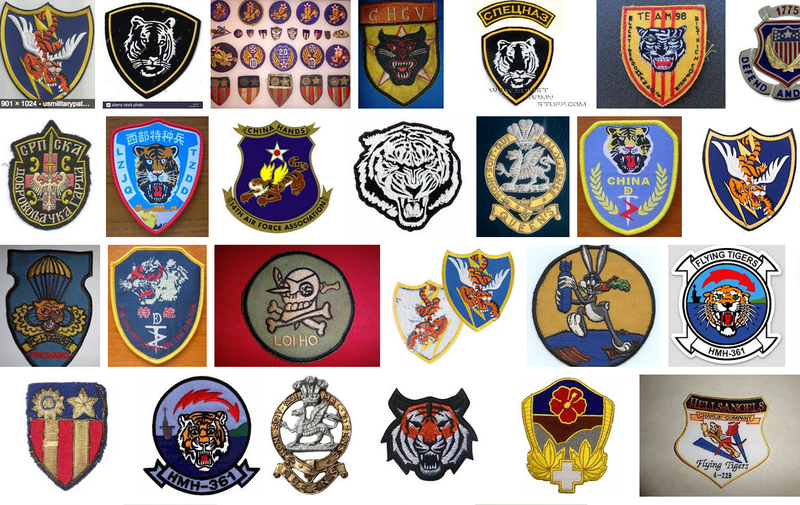 The tiger can be found on many such crests as shown in this simple Google search “tigers on military crests”. Animals can also serve to inspire and help people identify with stories. 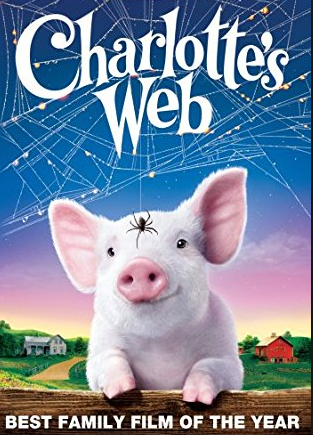 There is of course the very famous and very smart pig, Wilbur who is schooled by his friend Charlotte in Charlotte’s Web. The point is that animals can help a PSYOP campaign or they can serve to quickly turn the audience off. 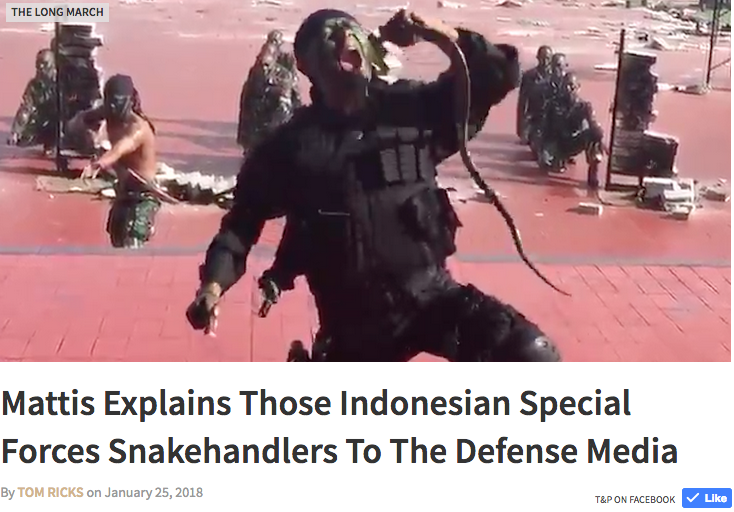 Animations or cartoons of animals can also be employed in PSYOP when appropriate and to appeal to target audiences that perhaps are not as literate in the language of the land. Creative PSYOPers know that they need a variety of tools and techniques at their disposal to be successful and appeal to their designated audience. Judicious use of animals can be one of those tools. 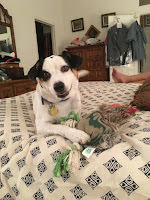 I have to cut this short, Max needs his walk. Note: cited articles are also photo sources. 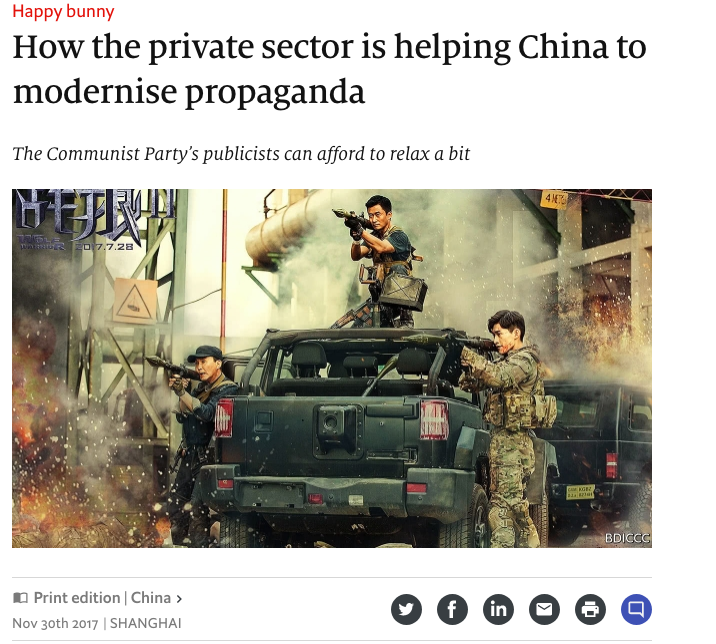 The December 2, 2017 print edition of the Economist ran a short article “Happy Bunny” which you can find at: https://www.economist.com/news/china/21731828-communist-partys-publicists-can-afford-relax-bit-how-private-sector-helping-china (which is also the photo source). The article addresses how Chinese state media is working with the private sector to liven up their propaganda. Given the often wooden and stoic nature the PRC’s state propaganda, it’s no wonder they decided to outsource some of their efforts. Of course cooperation between the government and the private sector takes on different dynamics then in other countries. Private sector in the US comes in many flavors. The most obvious are the entertainment juggernauts in movies and TV (broadcast and streaming). Cooperation and interaction between the entertainment industry and the federal government peaked during WWII. At this point in time (as evidenced by last night’s Golden Globe Awards see: http://bit.ly/2CTuNdu) the entertainment industry appears to be righting the wrongs of past years and striving for independence. The other aspect of the private sector is of course are defense contractors. The US has had mixed results by outsourcing PSYOP to commercial entities. The media is quick to publicize government contracts for influence operations and generally opines that the millions of dollars spent on these contracts was a waste of money. The PRC’s efforts are certainly a proof of concept that working with the private sector can help improve the effectiveness of influence operations.